That was a horse race! 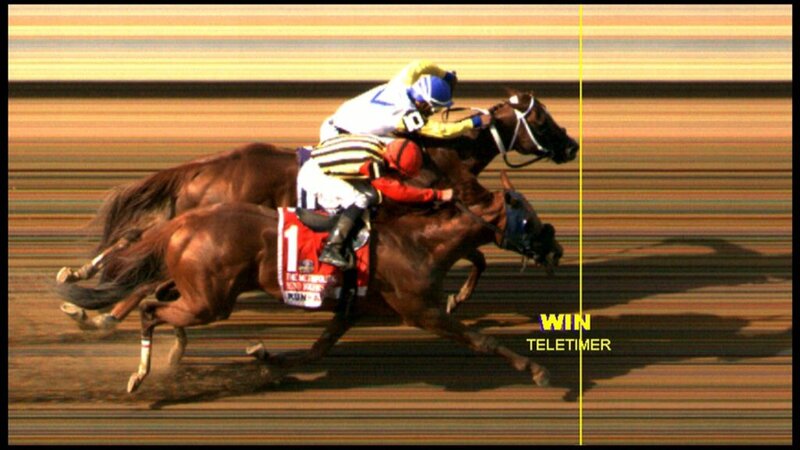 I was hoping for a dead heat, neither of them deserved to lose that race. Huh, that Runhappy spot is the first time I've seen a stallion commercial on network TV. I'm happy for Chuck Fipke and his stallion, Jersey Town. Yep, he's a homebred. Biscuits didn't deserve to lose. Discreet Lover walked onto the equine ambulance under his own power. That's what separated Bee Jersey and Mind Your Biscuits in prestigious Met Mile! Another training masterpiece by Steve Asmussen @keithasm7 @joyann_williams and deserved kudos to Chad @horsesummers as well! Miss Woodford wrote: Huh, that Runhappy spot is the first time I've seen a stallion commercial on network TV. Really? A couple years back I seem to remember there were Palace Malice commercials at every NBC broadcast with this hilarious over the top dramatic voice that I loved. I've also seen spots for Pioneerof the Nile, Outwork and Runhappy (different commercial than this one). I've also seen several miscellaneous ones over the years but the aforementioned are all adds I saw regularly. @Sparrow thanks! I have to say my affection for Fipke as an owner and breeder kinda increases quietly over time. Hopefully that's a good sign for Discreet Lover, hoping for nothing serious or life threatening. Hopefully Discreer Lover just has heat exhaustion. It's quite hot in the sun and he is not robust in the least. Fingers crossed for updates. Which, as they informed the television audience of millions, is about 8". I think he finished a hard-trying fourth, but haven't seen the order of finish yet. I only recall seeing them on NBCSN, not the network. I don't have NBCSN but I am thinking it's also possible the ads vary regionally? Discreet Lover, who finished 4th in the Met Mile, was vanned off. Jockey Manny Franco said the horse felt sore to him galloping back to be unsaddled after the race. 8 inches? I'm fairly certain a hand is 4 inches... so that's 2 inches between them... did they mean 17.3 hahaha!? Is NBC using their drone technology?